Give your carpets a Fresh start! How long does it take to clean clarpets? We will spend as much time as necessary to ensure your carpets and/or upholstery is properly cleaned. This might mean that at times it takes a little longer then we expect but most jobs can be completed in 1 to 2 hours. How long does it take for carpets to dry? Drying times may vary depending on the type of carpet, temperature, humidity and how dirty your carpets are. Berber carpets will dry faster then plush or shag carpets. Warmer temperatures will help with drying time but air flow is more important. Your carpets will dry quicker if you open a window and if you have a ventilation system it is best to use it. If your carpets are heavily soiled we may need to use more pre-treatment then normal which may extend the drying time. Most carpets will dry in 3 to 4 hours however some may take overnight. Will you be able to get my carpets to look like new? We will pre-treat your spots and pay special attention to them. Somespots may need extra special treatments depending on the type of spot it is. We do carry a variety of specialized spotters and stain removers. Unfortunately some spots are stains which are nearly impossibel to get out unless a professional dying services are used. We would love to be able to say “Yes, every stain will come out completely and you will have new carpets again!” Unfortunately depending on the age of your carpet, the type of stain you have and how the carpet has been treated in the past, some of the marks may not be able to be completely removed. Most pots will come out completely and the ones that don't will look better. If you had the carpet properly protected the last time you cleaned it your chances of removing any new stains are 5 times greater. We can generally remove 95% of your stains and many times when we do make your carpet look brand new again! Is it possible to have the furniture moved? We will move furniture such as sofa's, loveseats, chairs and coffee tables. We do not normally move bedroom furniture, wall units, electronics or broken furniture. We ask you to move your small items plants and breakables. Will it smell better in the house after? Yes. If you are have any odour concerns with your carpet we can take care of them. We can deodorize and/or disinfect your carpet and if need be we can replace your underpad and disinfect the back of your carpet to make your carpet smell fresh and clean. 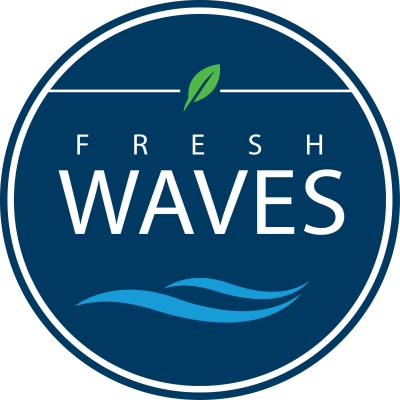 Does Fresh Waves have insurance? Yes. We have general liability insurance. Should I be around while you are cleaning? No. We do need contact with you when we arrive. If you can not be there when we arrive and you have access arranged (such as a lock box or a key in the mailbox) we can call you when we arrive and make credit card payment over the phone. If you are not there when the work is being done we do need payment when we get started. If you want to leave while the work is being done we ask that you pay us before you leave. We accept all major forms of payment at your house. Do you clean furniture as well? Yes, please see our price list for all services, we also clean and condition leather furniture.